Le Need: No wonder Aunt Bessy was always so happy cooking..
No wonder Aunt Bessy was always so happy cooking.. So... When it turns wintery, I love to get loads of winter veg and cook a big hot pot. So since returning from my holiday, I thought i'd embrace winter by cooking something i love. 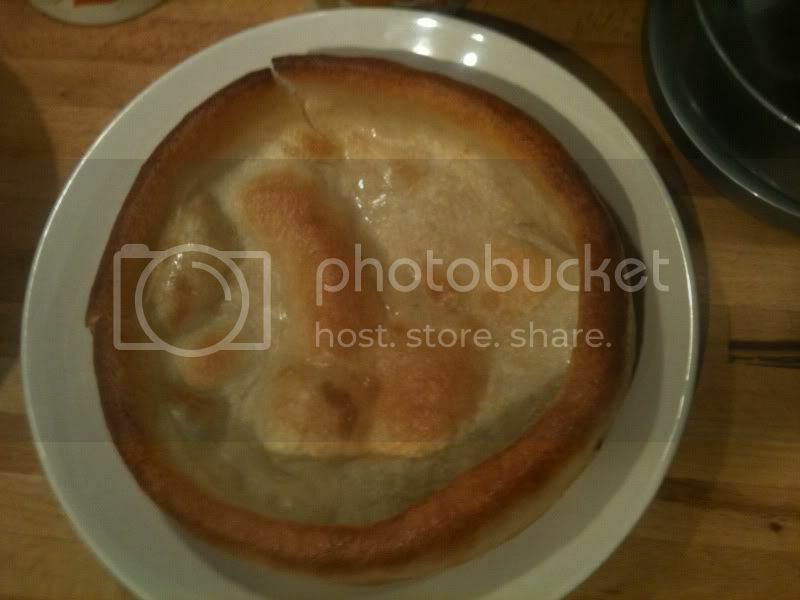 I treated myself to one of those giant yorkshire puddings from Asda to fill my boots with! When i pulled it out the oven i couldn't help but giggle at what appeared to be in the center of it!